It was almost laughable when the Yankees were a cool10 games ahead of the Baltimore Orioles in the AL East standings on July 18, but right now, there is nothing to laugh about. July 18 is practically a lifetime ago, and the Yanks are now only a slim 1.5 games up on the O’s with just nine games left in the 2012 regular season. Now, the Yankees and Orioles in a nose-to-nose race, the AL East Division will more than likely come down to the last day of the season – the winner claiming the East and the short straw punching a ticket to a one-game Wild Card playoff. On a positive note for New York, the Yankees have caught some late-season magic, never more evidenced than by Saturday afternoon’s thrilling 14-inning, 10-9 victory over the Oakland A’s at home. Locked up at 5-5 in the 13th inning, Oakland managed to plate four runs to untie the game on the strength of three home runs. Trailing 9-5 in the bottom of the frame, defeat looked imminent for the Bombers. But they made sure to make it interesting. In a stroke of sheer resiliency, the Yankees scored four runs to knot the game up, highlighted by a huge two-run home run off the bat of Raul Ibanez. The next inning, Eduardo Nunez reached on an error allowing Ichiro to come home for the win. 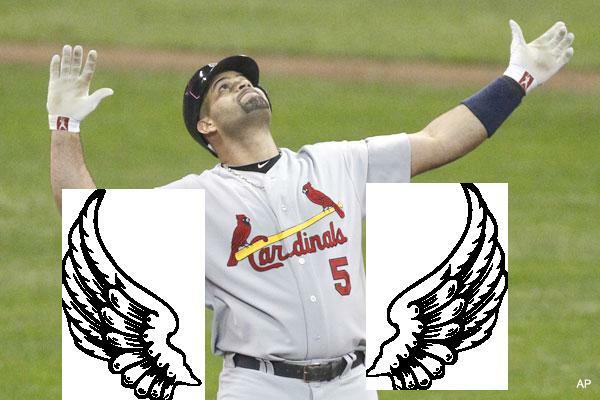 It wasn’t the cleanest victory of 2012, but it was probably the most meaningful. All season long, the Yanks have fallen when they trailed after the eighth inning but on Saturday afternoon they proved they can win in the face of a sure loss; they gave us a taste of the old days of 2009. 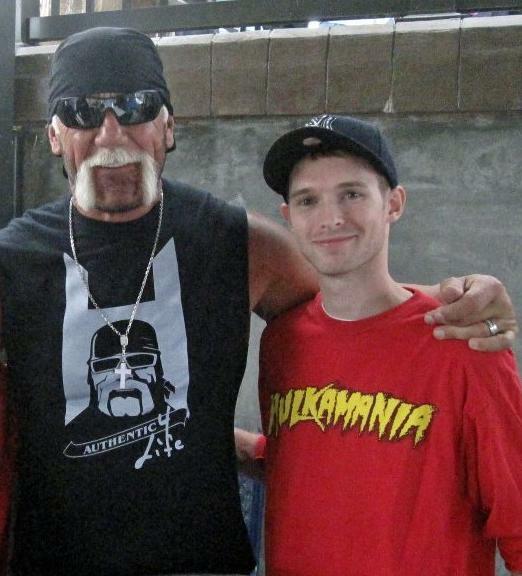 While the Yankees were experiencing a radical win, I was experiencing something just as fun – meeting pro wrestling and pop culture icon, Hulk Hogan. The Hulkster was signing autographs and making an appearance at a wrestling show at Dutchess Stadium in Fishkill, N.Y. – the same Stadium I spent most of my summer nights this year, covering the Hudson Valley Renegades. My cousin Joe and I patiently waited on line for several hours, but it was worth it. Once we got to the front, I shook Hulk’s hand, which is about as large as a tree trunk, and told him what an honor it was to meet him. Hulk was as nice as can be about it. 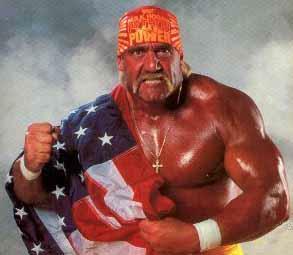 Joe was mesmerized, being a huge “Hulkamaniac” (or in other words a fan of Hulk’s) since he was five years old. We each gave Hulk a “bro-hug,” if you will, after we took pictures with him. He joked for a minute with Joe, nearly hip-tossing him, and then we were on our way. I have to say, meeting Hulk was pretty cool; a nice little memory I’ll hold onto. 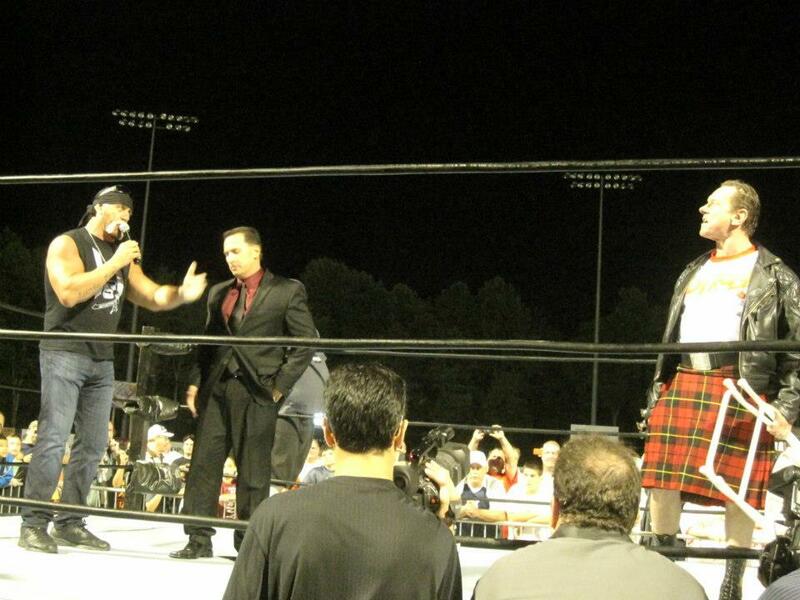 During the show he went face-to-face with one of his old foes from back in the day, “Rowdy” Roddy Piper. It was pretty surreal; almost felt as if we were thrown into a time machine and sent back to 1985, the year Hogan and Piper headlined the first WrestleMania at Madison Square Garden. 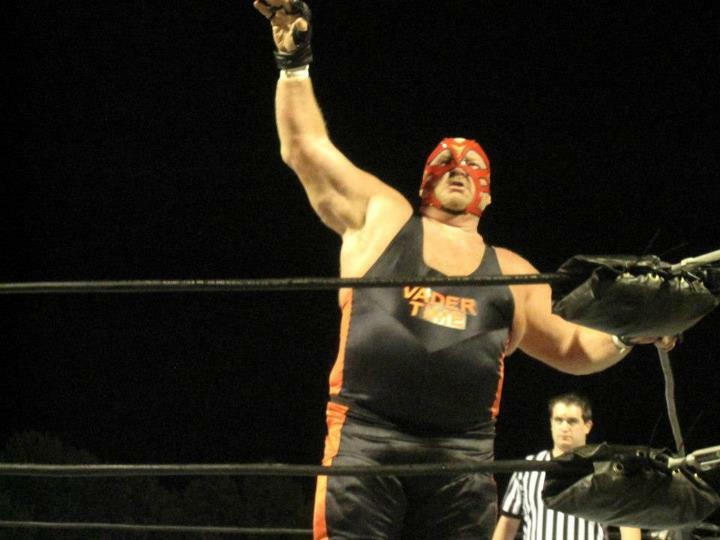 On a side note, super heavyweight wrestler Vader also made an appearance. From the front row, I led the crowd in a Boy Meets World chant, as he held a recurring role as Frankie’s dad (for fans of the show who would know that). In fact, he wrestled Jake “the snake” Roberts in an episode, on the night of Topanga’s Sweet 16 party. Today the Yankees beat the Pittsburgh Pirates 4-2 in Tampa, leaving only three more Grapefruit League games left on the schedule before they start playing for real on Thursday. The highlight of the afternoon was a towering, two-run homer off the bat of Alex Rodriguez that flew over the batter’s eye in centerfield, his sixth round-tripper of the spring. 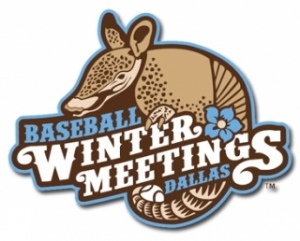 A few decisions and moves were made recently, most notably the trade of Sergio Mitre, the signing of Kevin Millwood, and the naming of the fourth and fifth starting pitchers. 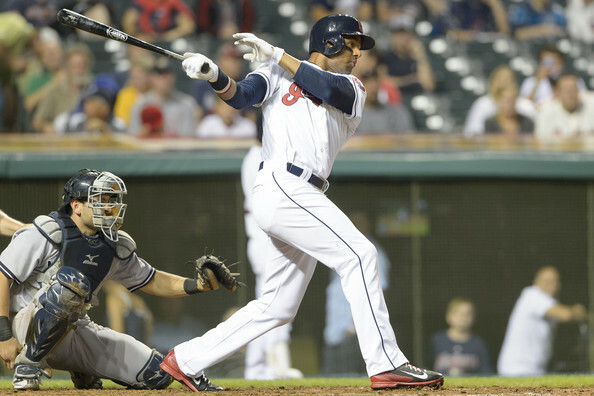 Yesterday Mitre was dealt to the Milwaukee Brewers for outfielder Chris Dickerson. 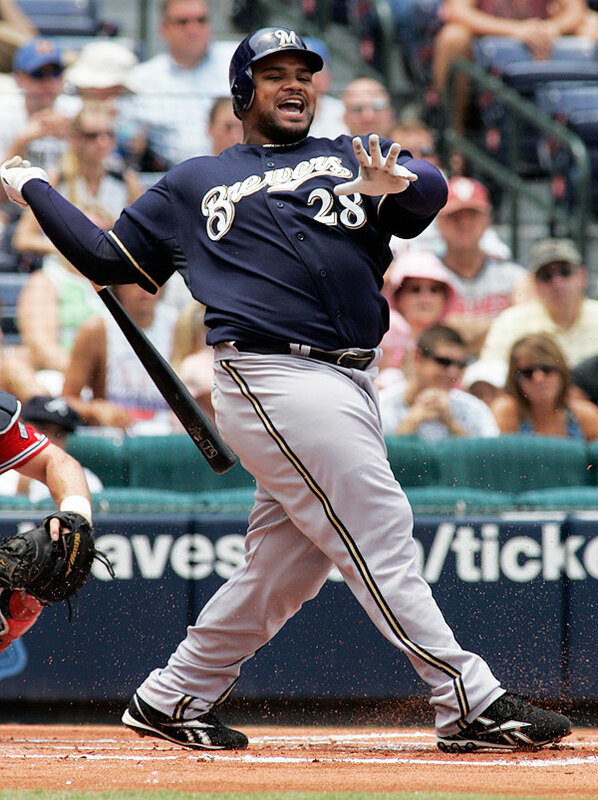 In this afternoon’s win over the Bucs, Dickerson made his Yankee debut and put on quite a hitting show. 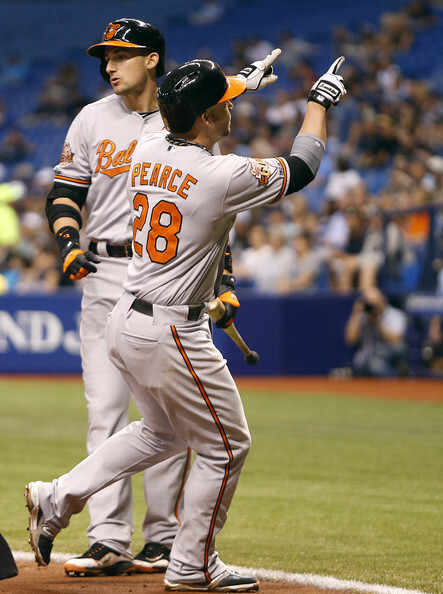 The 28 year-old pounded out three hits (including a double) in three at-bats while knocking in a run. Tough luck for the kid to go down – especially following such an impressive debut. What’s more, it hurts the Yankees, being that Curtis Granderson is not yet confirmed to be playing on Opening Day in light of his oblique injury. Yesterday Granderson did some running and agility drills, as he hopes to avoid beginning the 2011 season on the disabled list. Millwood, 36, was signed just yesterday. 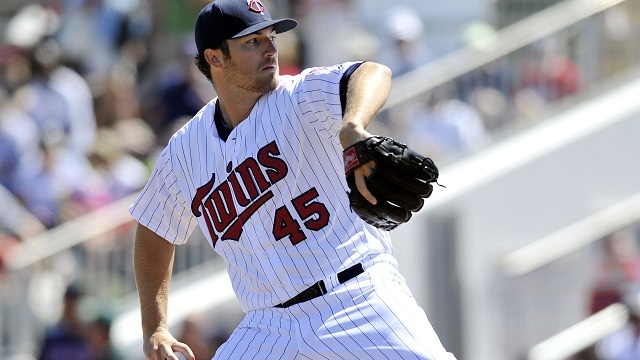 He owned the worst record in baseball last year, going 4-16 for the Baltimore Orioles with a 5.10 ERA. 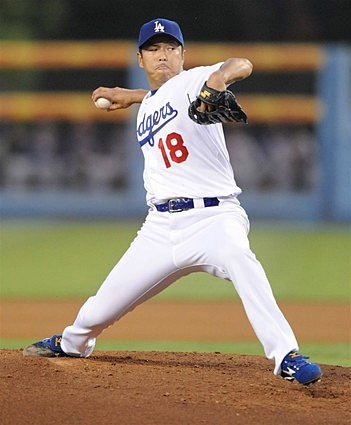 However, he has been a dominant pitcher in the past, leading the league with the lowest ERA in 2005 (2.86), making the All-Star team in 1999, and finishing third in the N.L. Cy Young voting in 1999 as a member of the Atlanta Braves. Even though he has proven himself in the past, he hasn’t proven anything yet. He will probably have to go through extended Spring Training and wouldn’t make the team unless he flourishes, another pitcher struggles, or another pitcher gets hurt. Along with the trade and the signing, it was announced that Ivan Nova will be the Yankees’ number four starter this year, and Freddy Garcia will pitch every fifth day. Bartolo Colon, who many people feel had a better spring than Garcia, will pitch out of the bullpen. 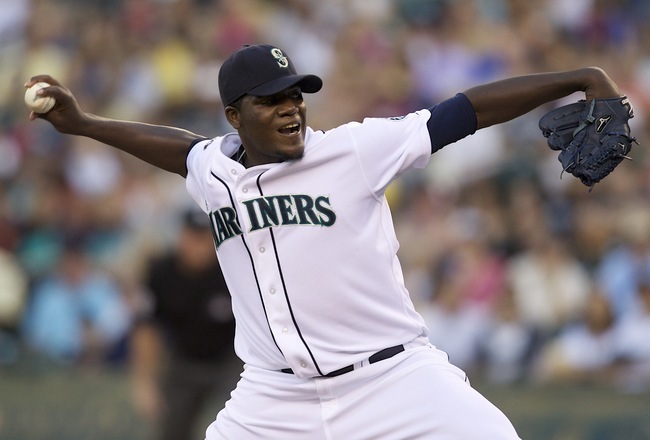 Garcia owned a 5.93 ERA in four spring outings, throwing 13 2/3 innings. 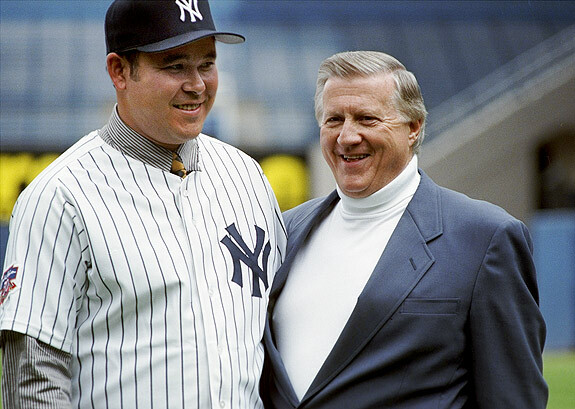 Colon held down a 2.40 ERA in 15 innings, giving most people the impression Colon should have won the number five job. Yankee Manager Joe Girardi maintained that Garcia, 35, was the favorite to win the spot because Colon, 37, hasn’t pitched in a Major League game since 2009. Girardi added that, for his standards, Garcia had a good spring. Now that we are only six days away from Opening Day, here is how Girardi should build his roster. Only 25 players can be at Yankee Stadium on Thursday and these men (I feel) have earned the honor of making the trek from Tampa to the Bronx. Most of these players will be in the Bronx next week and all of them deserve to be. Girardi will probably make a few modifications to my Opening Day roster, but expect to see most of these names called during the pregame ceremony on Thursday. Mark Prior deserves to be on the roster because of how well he pitched this spring (eight games, 7 2/3 innings pitched, three hits, three runs, one earned run, 1.17 ERA, 11 Ks, and five walks). 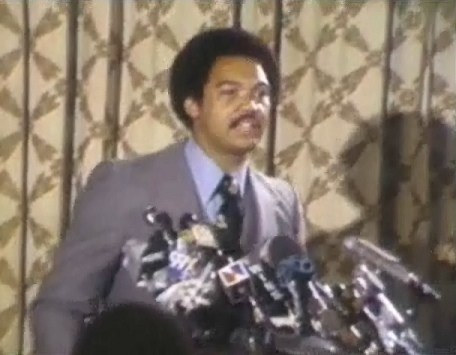 He earned the chance to prove himself and could provide the Yanks with some solid middle and/or long relief. I’m not sure if Girardi will send Prior to the Bronx, but if they don’t call him up, at least at some point in the season, they are making a mistake. 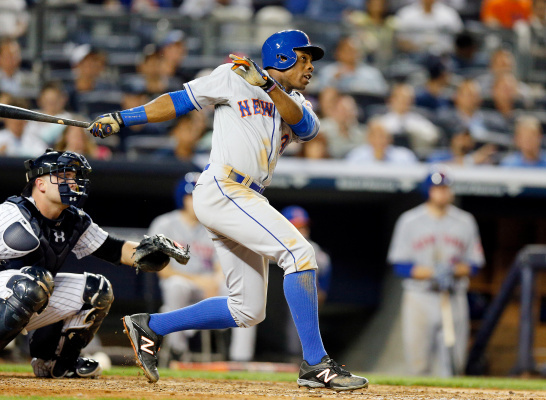 If Granderson does start the season on the DL, obviously a spot will be open and it’ll be a toss up. I would expect someone like Justin Maxwell (.206 in Spring Training, but he only had 34 at-bats, three RBIs, and four runs scored) or even Dickerson (if he is healthy, given his injury today) to backup Jones in centerfield. That spot would only be open until Granderson returns, anyway. Another position in question is the backup catcher role. 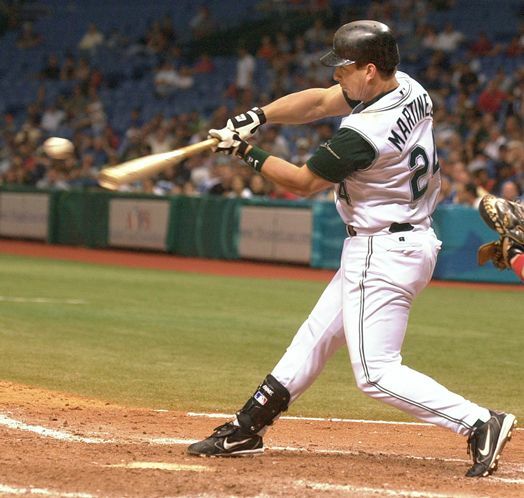 I feel it is time for Montero to at least gain some experience on the Major League level. Today it was reported that Gustavo Molina could back up Martin at catcher, until Francisco Cervelli returns from his foot injury. 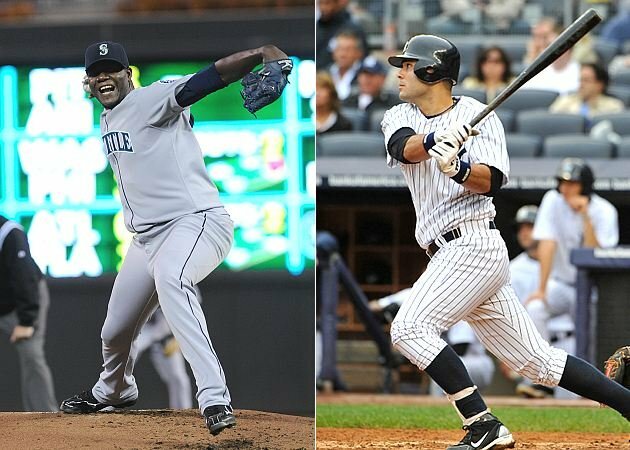 If you ask me though, Montero needs a taste of the big leagues – even if he doesn’t spend the entire season in the show. 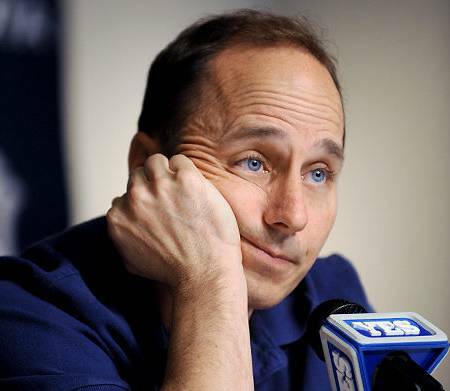 Whichever way it goes, in a matter of days, anticipate Girardi giving the official word on who is going to the Bronx and who will be heading to the minors. Through 5 2/3 innings, the Yankee pitchers kept the Phillies off the bases. That is until Wilson Valdez smacked a line drive homer off Hector Noesi, a shot that landed over the left field fence at Steinbrenner Field. That blow ended the combined perfect game the Yanks’ hurlers were compiling and plated the only run for the Phillies, as the Bronx Bombers went on to beat them 7-1 this afternoon in an exhibition. In the bottom of the second Eduardo Nunez crushed a three-run home run deep to left field off starter Roy Oswalt, giving the Yankees a 3-0 lead. Curtis Granderson came up to the plate the next inning and pulled a two-run shot over the left field fence, and the Yanks took a 5-0 lead. 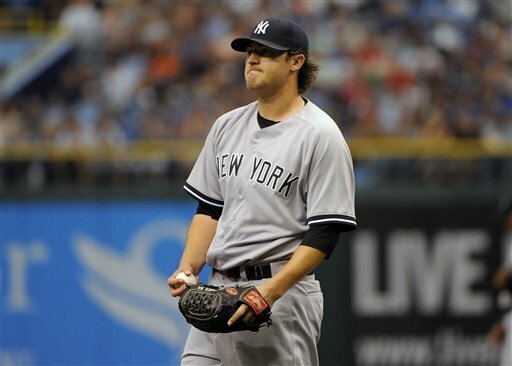 Oswalt was pulled after 2 2/3 innings pitched, and he gave up five runs (three earned) on four hits. He walked no one and struck out three. 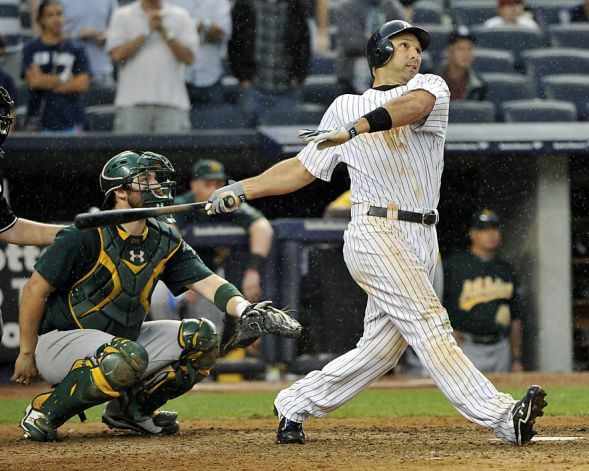 In the bottom of the fifth, Jorge Posada singled to plate Brett Gardner. 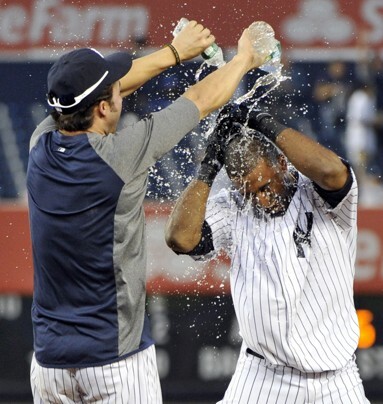 Later in the frame, Granderson scored on an RBI single off the bat of Eric Chavez, giving the Yankees seven runs. A.J. Burnett started for the Yankees and did not give an inch. 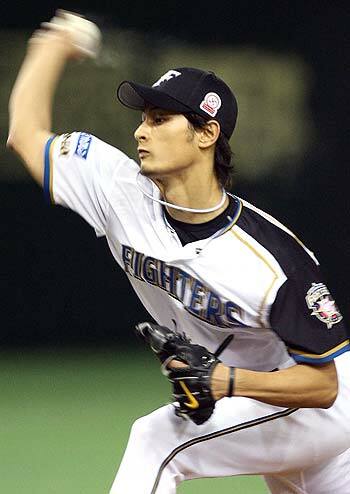 The lanky right-hander tossed three perfect innings without allowing a walk. He only had one strikeout, but it was a big one. Burnett whiffed brand name first baseman Ryan Howard. So far this spring Burnett has tossed five scoreless innings. · On a side note about Burnett, he tossed 45 pitches and 30 were strikes. 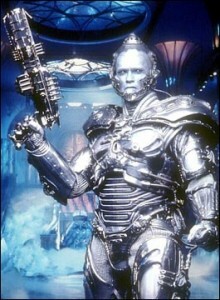 He is demonstrating command – another positive. He looks as though he will be OK, but he is still a work in progress and he’s got a long way to go. Baby steps. 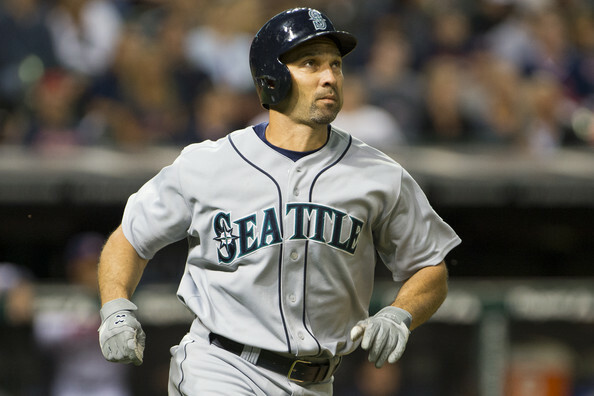 · Jorge Posada laced a double in the bottom of the third, and came around to score on a single by Eric Chavez. Oh wait…he actually didn’t. Posada missed the base and pitcher Vance Worley (who relieved Roy Oswalt) appealed at third and Posada was called out. It helps to touch the base when you’re running. It’s a general rule. 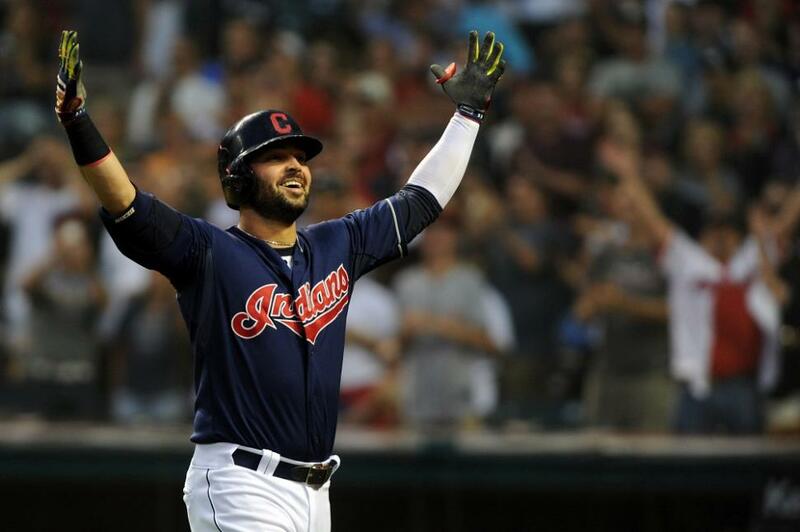 · Nick Swisher made a stellar catch in the top of the fourth to rob Placido Polanco of a hit. In foul ground, Swisher bent over the bullpen railing to make the catch, then front-flipped into the Yankee bullpen. He held on for the catch. It kind of reminded me of July 22, 2009 – the day Swisher ran up the right field wall at Yankee Stadium to make a fantastic catch, worthy of the highlight reel. I was at that game and the crowd went nuts. Everyone loves Swisher. · Right after Swisher’s catch, Jimmy Rollins chopped a ball off Chavez’s glove at first. 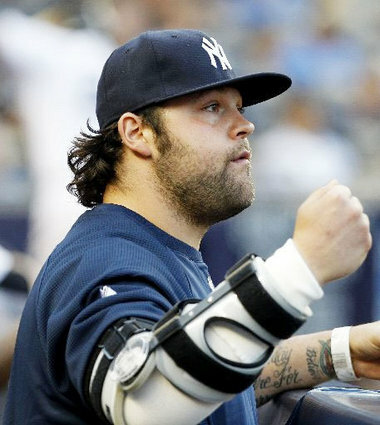 He stayed with it and flipped the ball to Joba Chamberlain, who actually covered the base. The big man got to the bag in time, getting Rollins out. Score that crazy play 3-1. It looked more exciting than it sounds. 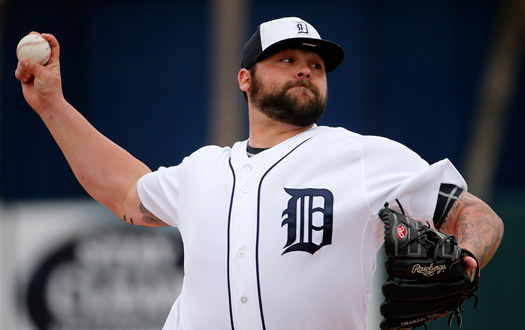 · Speaking of Joba Chamberlain, he had a good line today: one inning pitched, no hits, no walks, and no strikeouts. It was a step up from his outing on Saturday against the Washington Nationals: one inning pitched, two earned runs on two hits, two walks, and no Ks. I hope this isn’t another up-and-down year for Chamberlain. Whatever Burnett is doing, he needs to do the same. Chamberlain’s ERA this spring is now 4.50. 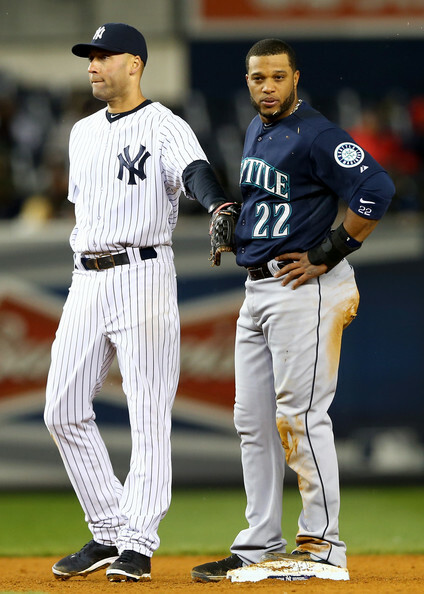 · Derek Jeter, Robinson Cano, Mark Teixeira, and Alex Rodriguez did not play. Today was a split squad day (meaning there are two games; some players play in the first game and others play in the second). 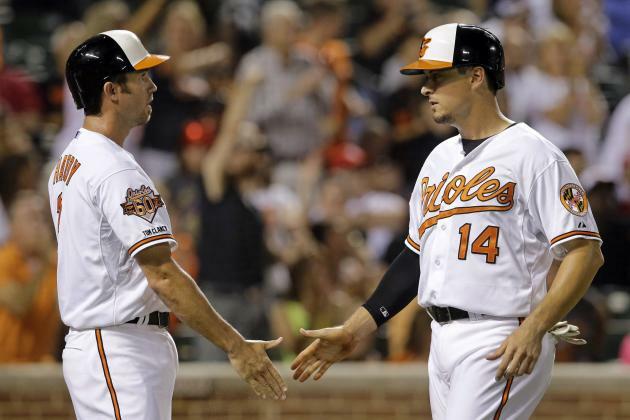 The regular infielders will play later tonight at the Orioles. 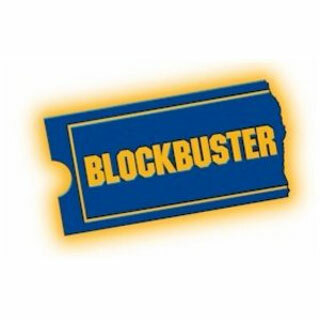 · What happened to Roy Oswalt today? He couldn’t get through the third inning. I think it was just an aberration for him, much like CC Sabathia’s poor start on Saturday vs. the Nationals (five runs in 2 2/3 innings). Against National League hitters this year, he’ll hold his own. 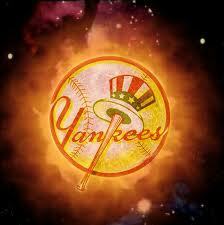 · Brett Gardner was 1-for-3 today with an RBI, a walk, and a stolen base. 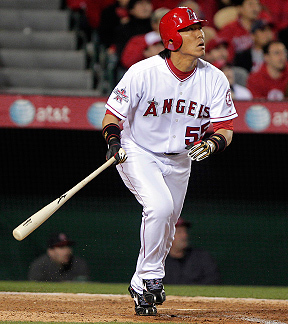 He was hitting from the leadoff spot today and seems capable of that role. He will most likely have to improve his bunting if he wants to hit in the number one hole. 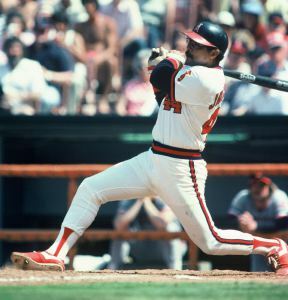 · I have the feeling the fifth infielder spot is going to come down to Chavez and Nunez. Today Chavez had three hits in three at-bats, knocked in a run and came around to score once. He is batting .471 as of press time. Nunez showed a great amount of power with his home run and he is averaging .286 at the plate so far. 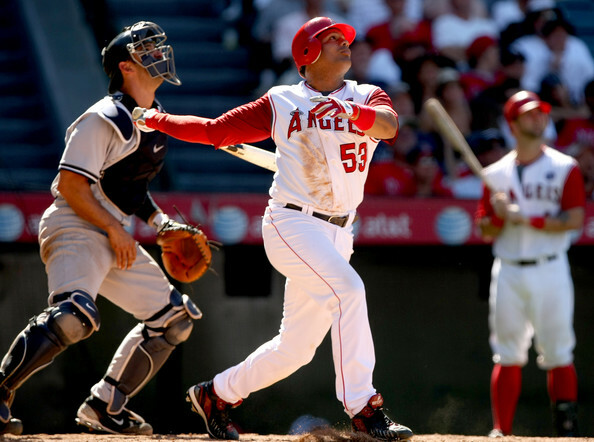 Ramiro Pena might be the odd man out, only hitting .063 so far. He will have to turn on the jets if he wants to make the team right out of camp. 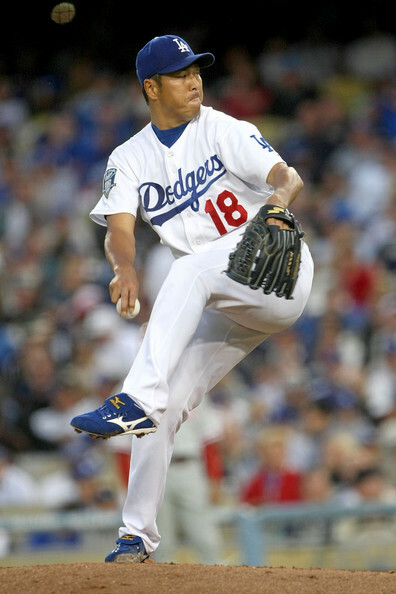 · “Perpetual” Pedro Feliciano tossed a perfect fifth inning with two Ks. I get the feeling he will be the primary lefty specialist. Sorry Boone Logan. · Curtis Granderson is batting .357 this spring and has hit two homers so far. He hasn’t even played in every game, and if his numbers are any indication, he is primed for a big season. · Mark Prior pitched around a Pete Orr double in the eighth, not allowing a run. He didn’t walk a batter and he fanned one. As I wrote a few days ago, I am pulling for him and I want him to be this year’s big comeback story. 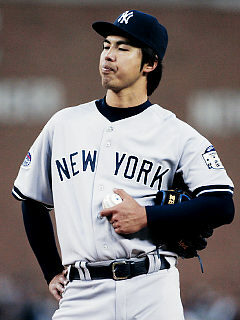 He is a hard worker and I get the feeling he wants nothing more than to bounce back and help the Yankees. So far he is proving he can do it. 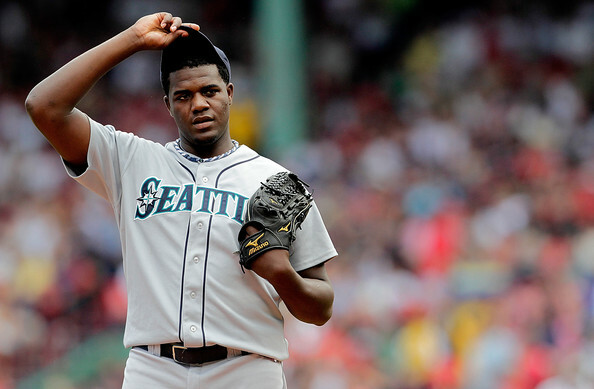 · Jesus Montero went 0-for-1 at the plate today and struck out, leaving a man on base. 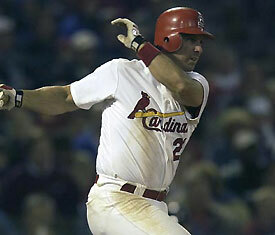 He hasn’t really had the opportunity to break out, yet he is still hitting .250. 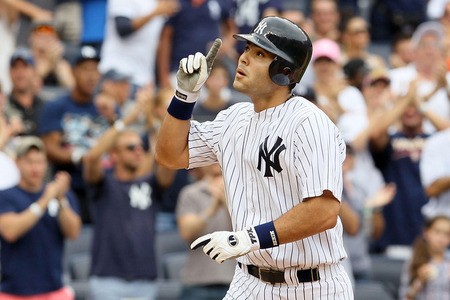 His counterpart Austin Romine will get the start at catcher in tonight’s exhibition vs. the Orioles. 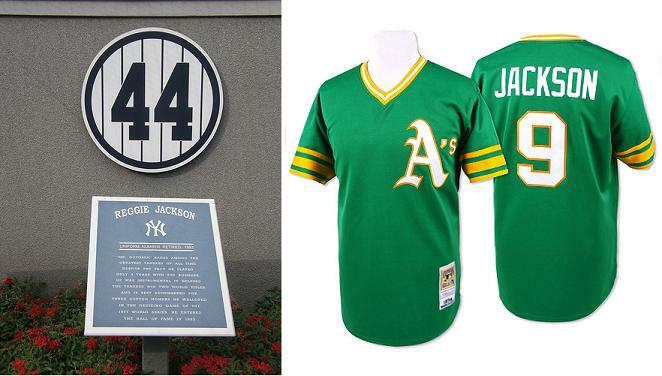 · Former Yankee Nick Johnson signed with the Cleveland Indians today. I feel sorry for them. 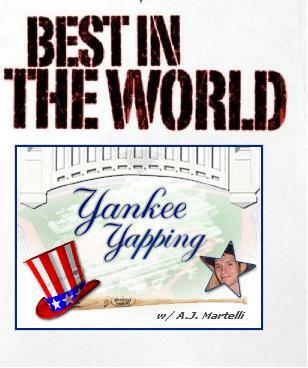 · Tomorrow afternoon the Yanks will travel to the Wide World of Sports to visit the Atlanta Braves (the game will be broadcasted on the YES Network). Freddy Garcia will make the start for the Bombers.